Here at Expedia.ca, we were inspired by THEMUSEUM’s upcoming travelling exhibition, Ice Age Mammals, which showcases prehistoric fossils and interactive displays about climate change. The exhibition provides an in-depth look at life on earth long ago, and it got us thinking about how much the world has changed since the Ice Ages. With that in mind, we teamed up with THEMUSEUM to discover some modern-day cities where extinct animals once lived and roamed during the Ice Ages. The giant short-faced bear trekked around North America and South America during the Pleistocene period, and it’s believed that it became extinct around 11,600 years ago. Considered one of the largest carnivorous land mammals on earth, its fossils have mostly been found in California and Indiana. However, in 1935, the largest fossil of its kind was discovered in South America. Researchers unearthed the massive skeleton of a giant short-faced bear in modern day Buenos Aires, Argentina. Over a million years later, Buenos Aires has become a spicy Latin destination with European flair, making it hard to imagine a 1,600 kg, 3.4 meter bear ploughing through the streets! Today, beach babes, celebrities and rising stars flock to Los Angeles, California, but during the Late Pleistocene period, American lions called it home. 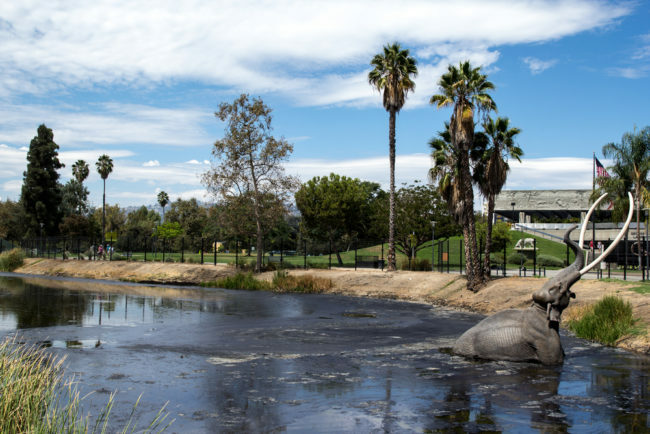 “The City of Angels” features Rancho La Brea Tar Pits, which is where naturally occurring asphalt seeps from the earth. Tens of thousands of years ago the asphalt trapped and killed unsuspecting animals leaving their bones preserved in the tar.Recently , more than 80 American lion fossils have been uncovered from the pits. The lion—thought to be one of the largest cats of its time—didn’t just stick to the Southern California region. It’s believed that the 200 to 300 kg feline roamed from Alaska all the way down to Mexico, and even as far as Peru. The American Mastodon, which lived until the end of the Pleistocene period, looked much like the Asian elephants we know today. Though mastodons lived in North America at the same time as mammoths, they’re two different species, making them distant cousins, rather than immediate relatives in the proboscidean family. 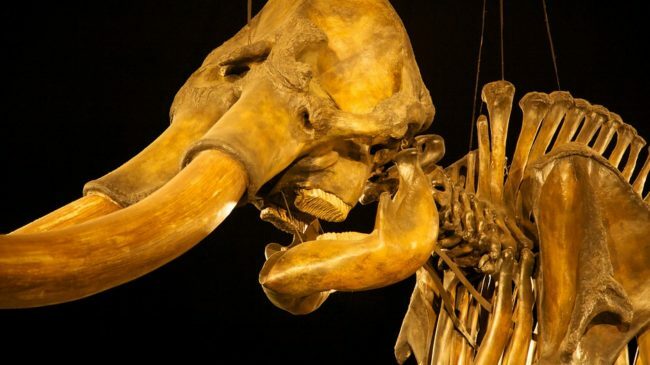 Since the 1700s, mastodon remains have been found in regions of the United States, such as Kentucky and Ohio, as well as areas of Canada, including southern Ontario and New Brunswick. Can you picture what a mastodon would do in modern-day Ontario? Perhaps it would graze for food under the CN Tower, or stomp around the Art Gallery of Ontario. In 2008, camel fossils were unearthed in the Klondike region of Yukon, which was an important discovery since North American camels were previously thought to be related to South American llamas. These fossils proved, however, to be tied to Asian and Arabian camels, so they must have made their way to the area during a relatively warm era. Today, Whitehorse is the capital and largest Yukon city. While you won’t see camels, you will have a view of three surrounding mountains where they may have roamed and experienced 20 hours of summertime daylight, and breathed in the cleanest air in the world, according to Guinness World Records. If you want to envision what earth must have looked like during the last part of the Pleistocene period, roughly 110,000 to 12,000 years ago,, stop by THEMUSEUM. While you’re in town, stick around and spend the entire weekend in Kitchener.